It’s easy to think the problems will go away once that one person steps off the board. In reality, the issue is often not personal, or even interpersonal, but structural. If you’ve ever been on a board, you’re likely familiar with the scenario: one (or two) rabble-rouser(s) is going at it again, derailing the conversation and forcing everyone else to glance at the clock, check their phones, and mentally check out of the meeting. At Propel Nonprofits, it’s common to get a call from a distraught board chair, board member, or executive director who is unsure of how to deal with the conflict-causer. It’s easy to misplace the challenge here on the presence of conflict, but I’d argue that they have a bigger problem that needs to be dealt with: a lack of shared norms. Clear expectations are the foundation for a healthy board meeting. It’s easy to think the problems will go away once that one person steps off the board. In reality, the issue is often not personal, or even interpersonal, but structural. People check out not only because they feel the meeting is wasting their time, but because they have no idea how to do anything about it – even worse, no clear understanding that they have authority (and responsibility) to do something about it. Boards need to own their role as a self-governing body. There are some tools to get them there. Rather than focus on eliminating problem people or wishing them away, a better solution is to create a shared set of rules and expectations for how the board will collectively create a healthy space for productive governance to take place. When conflict strikes – whether instigated by one person or between multiple people – I urge boards to consider bringing in an outside facilitator to establish a group agreement and/or set of board norms. There must be a process in place for keeping each other in check, and everyone needs to know what it is and that they have the ability – and again, responsibility – to do so. What kind of space do we need to create so we can do our best work? The answer needs to go beyond “respectful” or “safe.” What does a respectful, safe, and productive space look like, feel like, and sound like? How do you hold confidentiality? Inevitably, part of the first answer is a space that feels safe, and that means knowing that vulnerable and sensitive issues can be brought up. This part of the agreement doesn’t need to be over-thought, but it does need to be upheld and revisited. How do we hold each other accountable? The answer needs to create an understanding of each member’s personal responsibility. Some groups commit to talking one-on-one outside the meeting if they perceive an issue. A soccer-related organization I worked with gave all board members a Yellow Card to “throw” if an individual or the group was getting off track. Whatever the accountability tool is, it must be something everyone in the room can do and feels comfortable using. Once an agreement is in place, the board chair needs to be sure there’s time on the agenda to revisit it at each meeting and make it a living document. For example, building in time to discuss if there’s one piece of the agreement people want to focus on or ways that they’ve seen operating principals show up (or not) during their week can bring the principles to the forefront of people’s minds as they begin their meeting. In addition, refreshing the board each meeting of what mechanisms are in place to keep the meeting on track reminds folks that when things start to go off track, they have a tool to correct course. A healthy board is not necessarily conflict-free. However, a healthy board does have a shared understanding of a) board members’ shared responsibility in self-governing and b) what the group’s operating norms are. Put operating norms in place for handling conflict before conflict (and disengagement) become the norm on your board. 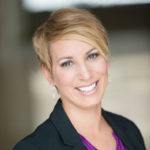 Amanda has a background in organizational leadership and development, including change management, strategic planning and board development. She has over a decade of experience working in the nonprofit sector as a consultant and is focused on building common vision, igniting creativity and unleashing energy for positive change. Amanda specializes in Strategic Consulting.